Beginning with the incredibly beautiful A Quiet Walk In The Snow (Christmas Version), Pauline Frechette’s latest EP Winter Romance is every bit as organically ambient and peaceful as you’d hope. Featuring a new collection of piano-led recordings, the project fills the room with a classical aura and a sense of emotion and space that feels calming and thoughtful all at once. As things progress, the mood picks up just subtly and suits the Christmas season perfectly well. Winter Wonderful brings an immediate level of joy into the mix after the opener – rhythm and colour emerge but still that spacious calm remains and keeps things on a similar level for consistency. Starry Night afterwards meets the mood again but adds that Pauline Frechette trait of moving between melancholy and optimism in a subtle and compelling manner. Snowflakes is a personal favourite from this EP, a surprising choice as I’d normally be inclined to choose something less complex or more quiet. In this case though, the various layers fuse well and create a lightly uplifting listening experience that’s easy to return to several times over. Diamonds follows and contrast works well as a mellow calm comes back with a gentle dash of depth and consideration. If the snow were falling outside as this was playing you’d feel as if you were right in the heart of the season. 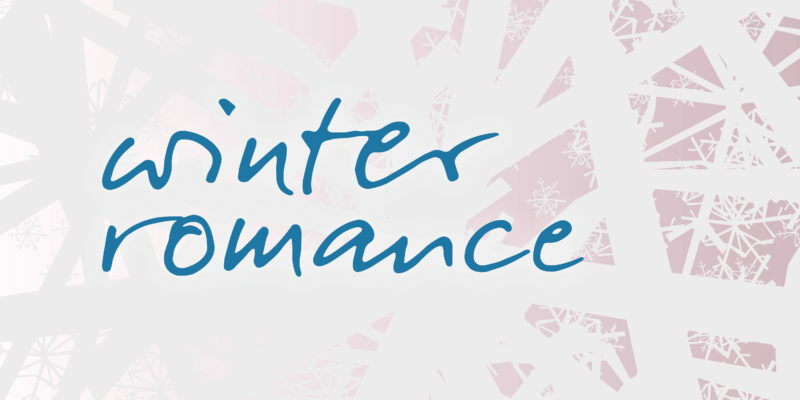 The final composition on the Winter Romance EP is The Glass Waltz. As the title suggests, the music brings in a new groove and creates a sense of movement and eclecticism as the project nears its end. A strange mood ignites here, it feels true to the Pauline Frechette repertoire again in that there’s a realness or a meandering level of emotion that refuses to fall victim to predictability or expectation. As is the nature of the genre itself in many ways, but this piece in particular has a certain flair and ends the EP in a bright and quite refreshing way. If you’re searching for a playlist this winter that feels seasonal – brings warmth, calm, togetherness – but that doesn’t quite line up with the big-band, vocal-driven vibe of the majority of releases, Winter Romance is easily worth a look. A pleasure to listen through, as is always the case with Pauline’s music. Download the music via iTunes. Find & follow Pauline Frechette on Facebook, Twitter & YouTube or visit her Website.